Yes I am the designer of the Monterey 24 sailboat. I consulted with Peter Barrett (sp?) of North Sails Pewaukee, WI on the rigging and he did the final sail design. I did all the rest of the design and actually lofted it on plywood in the loft of a barn in Wisconsin. In the days before lofting software. The Monterey 24 was designed in the early 1970's as a trailerable sailboat but when the fuel crunch of the mid '70s hit the public turned to smaller cars and the trailerable sailboat market took a dive. Northern Yachts of Elkhorn, WI produced 30 of these boats and sold them through a dealership network. Just as the company had completed its new manufacturing and office facility orders for boats with deposits began to be canceled. This ultimately led to the closing of business before they had even occupied the new building. 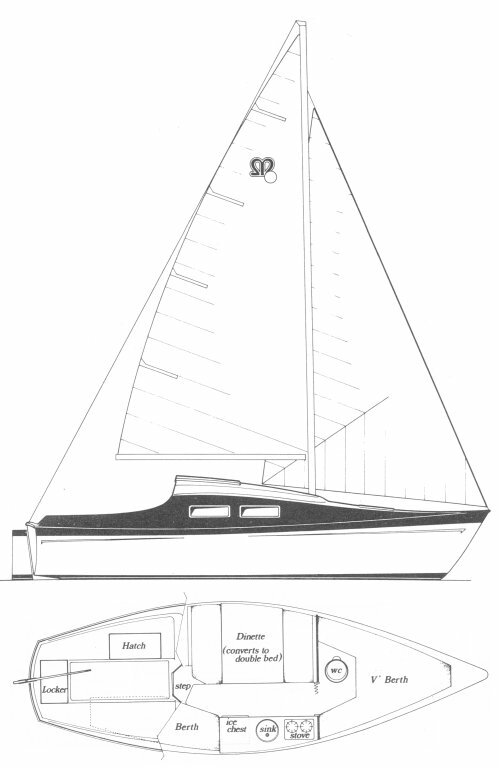 Unfortunately for me it came at a time when I was working on the design of a new line of sailboats for them which included a 40' mid-cockpit sloop (similar to a Morgan 41). But that sailboat only came to life on paper.